If prepaid levels are not met orders will then be shipped via pre paid and charge. Exception for zone 1 - which will be a $20 flat rate. Courier-able items are at the discretion of BE Power Equipment, ie. hose’s, long wands, batteries, fluids etc. If prepaid levels are not met orders will then be shipped via pre paid and charge. Exception for zone 1 - which will be a $50 flat rate. LTL shipments start at any items on a pallet. A $125 fee applies to power tailgate use. A $100 fee applies on attempted deliveries where it is required to reschedule. A $50 for delivery appointments. Fees may billed after initial invoice. Pre paid LTL shipments that have back ordered items will be shipped via pre paid and charge as soon as the items are available. A BE customer service representative will contact you prior to back orders that are $5000 or more will be shipped via pre paid. 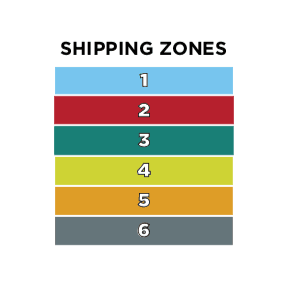 Regular prepaid levels apply for zones 1 and 2.